Authorised distributor of Smiths, CAI and VDO products. Drive, push pull and control cable manufacturers to pattern or customer specification. Speedy Cables is an independent small company located in South Wales employing around 20 people with a variety of professional, engineering and craft skills engaged in the customisation and repair of instrumentation and the manufacture of custom control cables and custom drive cables. The market sectors in which the company operates is varied. 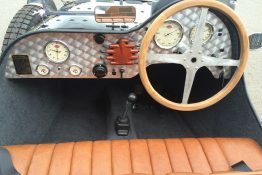 Historically it was predominantly automotive including replica cars, classic cars, classic motorcycles, taxis, kit cars, motorsport and military whilst we continue to serve those sectors we also serve the agricultural, industrial and security sectors. The company batch produces products from volumes of 2/3 up to 3/400 for some products/sectors and also extensively provides a bespoke service for almost all products. 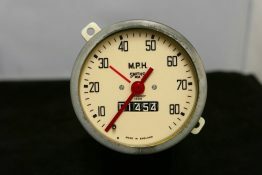 Speedy Cables is a long established company and has served the automotive industry for over 60 years. The company Speedy Cables (London) Ltd was registered on the 13th of February 1975 and traded from premises in Islington, London, but its origins go back to a much earlier time when it had non limited status and operated from premises in Marylebone in London’s West End. The company had to move to Islington when its premises were compulsory purchased and demolished to build London’s Post Office Tower on the site. If Speedy Cables’ founding business had not moved it could have vanished from the map into a black hole. This would surely have been one of the less common problems that new businesses have to contend with and overcome. After its lucky escape from Marylebone however the company flourished in Islington and by the year 2000 it had outgrown its premises and moved to its present location near Swansea in South Wales. Over the years the company has placed great emphasis on retaining its staff with their many years of experience and acquired instrumentation skills. Speedy Cables (London) Ltd can now rightly claim to be a leader in its specialised field. 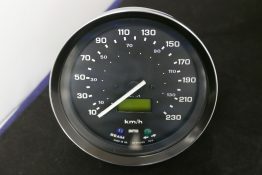 The company now manufactures and supplies all kinds of mechanical drive and control cables including a wide range of automotive instruments and gauges. 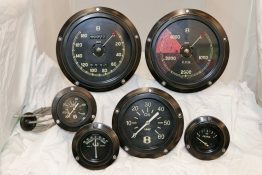 In addition we repair, restore, and calibrate gauges from most classic, vintage and kit cars. The company holds ISO9001 2008 Approval and our certification can be seen by clicking here. The company Speedy Cables (London) Ltd was registered on the 13th of February 1975 and traded from premises in Islington, London, but its origins go back to a much earlier time when it had non limited status and operated from premises in Marylebone in London’s West End. Speedy Cables had outgrown its premises and moved to its present location near Swansea in South Wales. 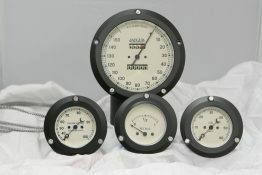 Over the years the company has placed great emphasis on retaining its staff with their many years of experience and acquired instrumentation skills. 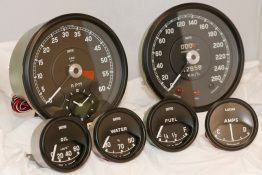 Speedy Cables is a leader in its field manufacturing all kinds of mechanical cables and supplying a wide range of automotive instruments and gauges. 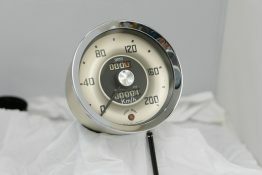 In addition we repair, restore, and calibrate gauges from most classic, vintage, kit cars and motorcycles. 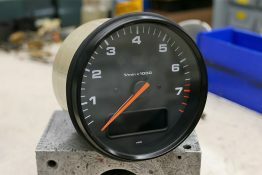 We also specialise in building custom gauges for a variety of highly respected SME’s across the automotive, agricultural and military markets.